She's one of those women who you speak with and you wonder, "How does she do all that?" True story: as Jenn and I were writing back and forth for the interview, I found out she had just given birth to a baby girl five days earlier. Talk about a Supermom! I have zero kids and can't meet a deadline, and Jenn has a five-day-old daughter and makes it look easy. Hero! 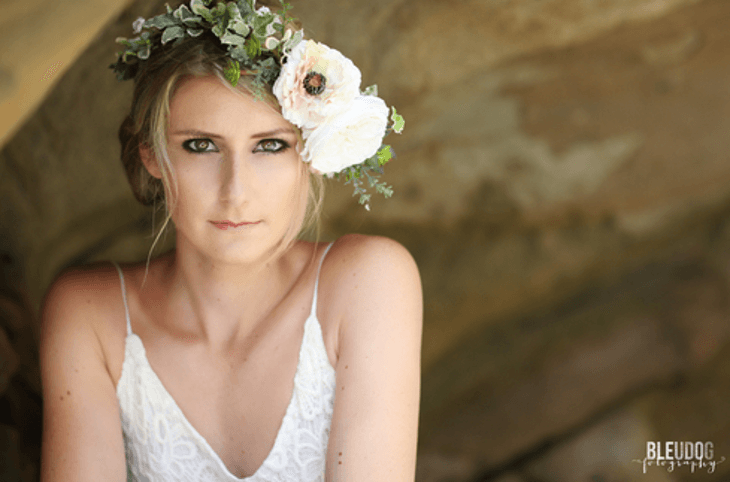 Enjoy the interview below---Jenn has some FANTASTIC advice for bridal makeup artists and anyone working in the wedding industry---and definitely check out her site. Q: Hi, Jenn! Thank you for talking with me. Can you tell us a little bit about yourself, and describe what your company/website does? A: Sure! 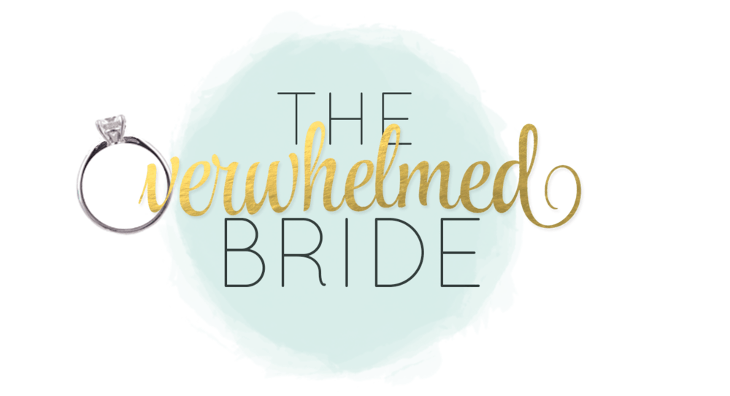 I'm Jenn, and I'm the owner and editor of The Overwhelmed Bride, a wedding blog but focuses on the bridal lifestyle. While we do feature gorgeous inspirational weddings and engagements just like most wedding blogs out there do, we focus on other areas of a bride-to-be's life as well---such as marriage and health & fitness---as they are also a large part of what it means to be a bride. Our overall goal is to walk brides through the planning process and to keep them stress-free to and through the wedding day! Q: Your website is gorgeous---colorful, clean, tasteful---much like you'd like a wedding to be! Many makeup artists own a website in order to promote their services---do you have any advice on how to maintain a website? A: Thank you so much! 🙂 First of all, a clean website is imperative for any makeup artist looking to promote their services. Your website is the store front of your business and is the first impression a potential client will see. You could be the most amazing artist in the world with the most amazing personality but if a client sees an out-of-date, not-well-put-together website, then they will most likely pass you by. Photos... and lots of them! Clients want to see your past work! And make sure the photos are professional as cell phone photos just don't make that same impression. A blog: If you do events, blog the events you do, blog about makeup tips and just show off your expertise! You are the expert and if a potential client feels that they know more than you do, then you definitely aren't going to get the job. Social media links: Make sure you have social media accounts (up-to-date ones too!) and make sure that you have links to these accounts on your website where they can be easily found. About You: Potential clients want to know you as a person, not just a professional (even though that information is necessary, too!). Tell them about your hobbies outside of makeup and make sure you give the best impression of yourself, even down to how you write. Write as though you are talking to someone in person. And make sure to include a photo of yourself. Reviews: There is nothing that speaks louder than reviews so include testimonials on there or links to where your online reviews can be found! Q: Excellent! It's nice to hear someone "in the biz" saying the same things we say on our site. I wanted to ask you specifically about bridal makeup. Brides are under a TON of pressure to look and feel perfect on their wedding day, and some have a difficult time on their special day---do you have any advice for our makeup artists who are working with a bride who's in a tough place? A: My biggest piece of advice is to stay calm and that will help calm your brides. Keep an upbeat, positive attitude no matter what (even if you are running an hour behind) and treat the bride as though she is your best friend! Think, "What would you tell your best friend or sister at a time like this?" Q: I love it! That's excellent advice. Do you have any stories where you've brought a bride back from "totally losing it" to "graceful and poised"? A: This happens all of the time, but not typically to the extent where there is any big story to tell. Believe it or not, there are far less bridezillas out there than you think! Most brides get jittery right before they are going to walk down the aisle and I am the last person standing there with them before they make their entrance. I keep a smile on my face, give them a hug, tell them how beautiful they look, and always remind them that as soon as they see their fiancee's face at the end of the aisle, the jitters will all disappear and won't come back for the rest of the night! Q: What are some of the most beautiful weddings you've seen? A: One of my favorite weddings that I've ever planned was at a venue called Malibu Rocky Oaks. It is a beautiful private estate on a vineyard, overlooking Malibu. Not only is the location amazing, but we had such a fun time keeping the focus on having fun, rather than focusing on making the wedding perfect. Of course, we chose the most beautiful décor and settings and everything was exquisite, but by focusing on the true meaning of a wedding (the marriage, family, friends, a celebration), it was the most beautiful wedding I've done. Q: Makeup artists are basically running a small business---what's been your experience as a business owner? What are some of the aspects of running a business that our readers may need to know? A: Running a business isn't easy, believe me I know that! When you first start up, no income is coming in and it feels as though your wheels are spinning but determination and a lot of hard work will absolutely pay off... I promise! It is the most amazing thing to be able to work for yourself, create your own schedule, and run your business and this huge aspect of your life the way you feel fit and that is what I love most about being a business owner. As I sit here doing this interview, my precious 5-day-old baby girl is in the crib asleep next to me and guess what? I am able to be here right by her side because I have that flexibility. You will go through hoops and some days it will feel as though you aren't getting anywhere but if you love what you do and it fits the lifestyle you are looking for, then just keep on plugging away and you will thank yourself in the end. Q: That's wonderful... and incredible! I can't believe you're able to handle of all this---you even wrote a book! What's it called, and what is it about? And why is it the best thing ever? The Overwhelmed Bride is different because we focus on the actually planning process, where many other wedding blogs focus mainly on featuring gorgeous weddings and inspiration either with a particular theme or location in mind. Q: Excellent! I will check Aisle Society out, and we'll urge our readers to do so, too. Here's a broader question: what have you learned about the wedding industry? It's kind of an intimidating business, and some of our readers who are interested in bridal makeup are a little intimidated about getting into it. A: Before starting a blog, I was a wedding coordinator so I already knew so much going into it... and my expertise is really where I get the content for the blog! But I have learned how large but also how small the industry truly is. We think that the trends dictate the wedding style and while that is somewhat true, there are so many creative weddings I see daily which I have never seen anything like - and I love that! There is never going to be a time when weddings get boring, because every couple has the flexibility to be creative and show off their personalities through all of the different aspects of the wedding day. And that is what makes our industry so special! A: It is all about referrals---if a bride loves you, she is always going to brag to her friends about you and try to convince them to book you for their wedding and events too. So never focus on the client at hand, but realize that that one client is going to know a lot of people getting married through the years and that means a lot of potential clients for you! Never think of a wedding as a one-time transaction because one day, she will take her maternity photos, family portraits, and the list goes on... while a wedding is one day, she can be your client for life! Q: That's excellent advice, and it's something I write about, a LOT---success is all about who you know, and the network that you're able to build. Can you tell me---a big part of being a makeup artist is working with photographers. Can you give our readers any advice on how to work with them? A: Photographers do their best to be a fly on the wall while they are taking getting-ready shots of the bride and her bridesmaids, and this is the time when a makeup artist will be around the photographer. Do what the photographer asks because in the end, it's all about those photos and how (s)he can best show off the work you have done! Every photographer's style is a bit different so having a go-with-the-flow attitude is imperative. Remember, you are working for the bride and she hired this photographer to capture these moments---so while it may not be in your job description, do everything you can to make this bride the happiest bride in the world, even if it means pretending to put on blush 7 times to get the right shot! Q: Do you have any favorite makeup products? We'd love to hear! ​A: You know, I love getting dressed up for events and date nights with the hubby but since I started working from home, I've become quite the minimalist when it comes to makeup....aka I don't wear makeup most of my life. But when I do, I love the Mary Kay products and my new favorite mascara is called GrandeLASH and it is like magic! Other than that, I am a bit obsessed with my BeautyBlender! Q: Last question: Many of our readers are engaged, or planning on getting engaged some day. What kind of advice could you give them?